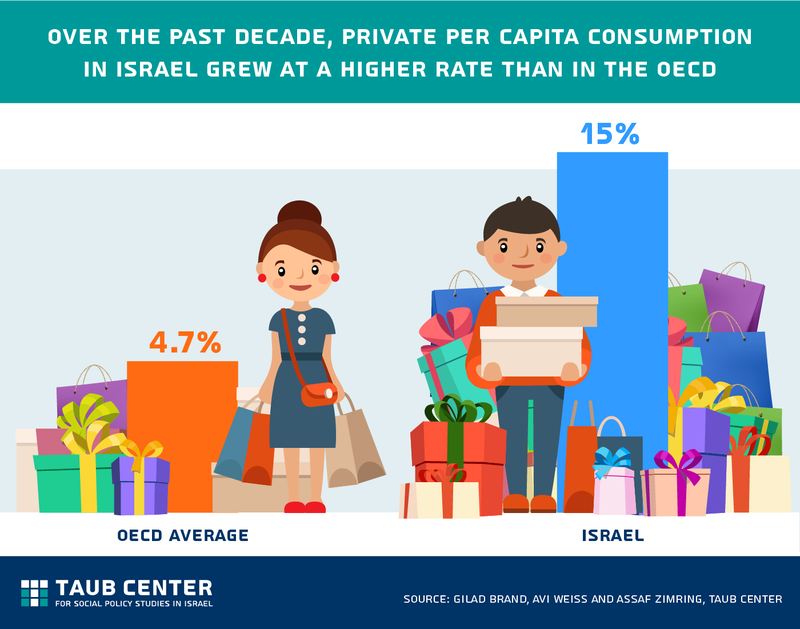 In the past decade, food prices in Israel have increased by 53% while the price of clothing and shoes has decreased by 28%. 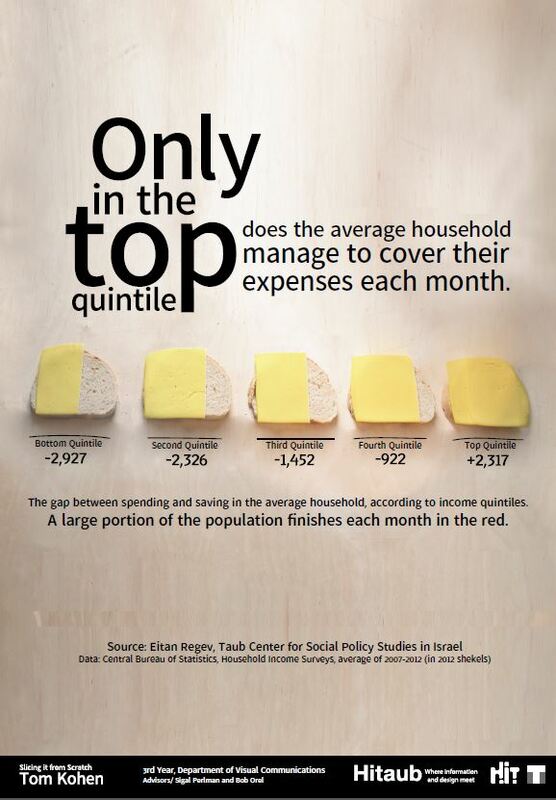 Click here to read more about the high cost of living in Israel. 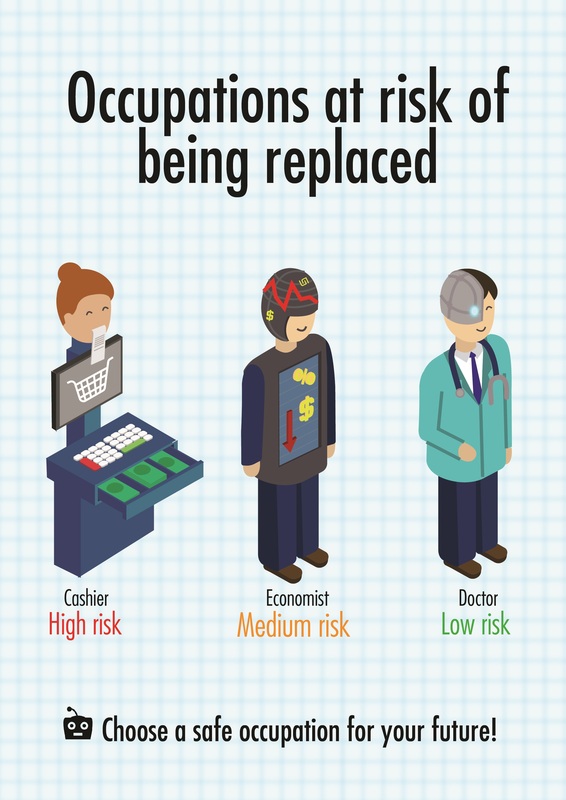 Find out which occupations are at high, medium, and low risk of being replaced by computers in the future. 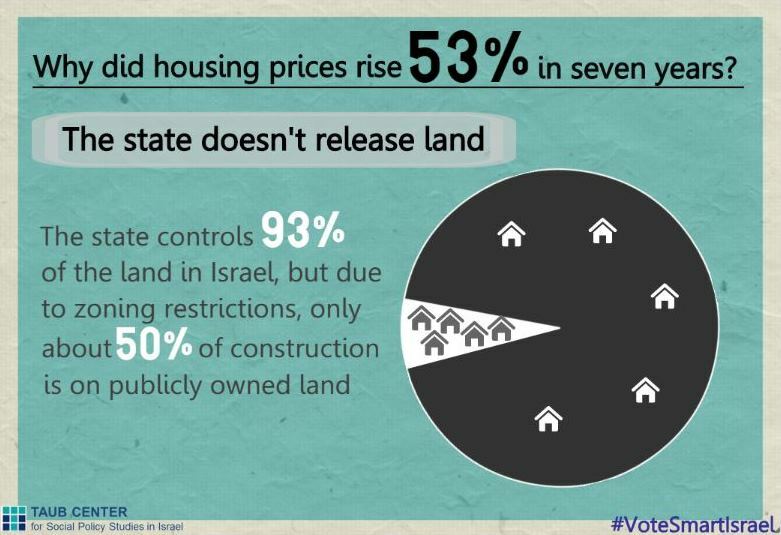 Click here to read more on occupations at risk in Israel. 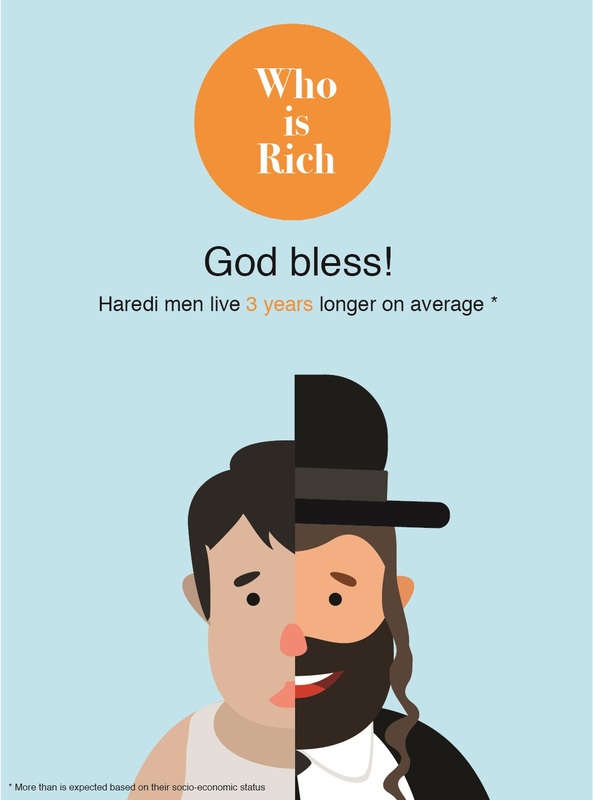 Haredi men live 3 years longer on average than non-Haredi men. 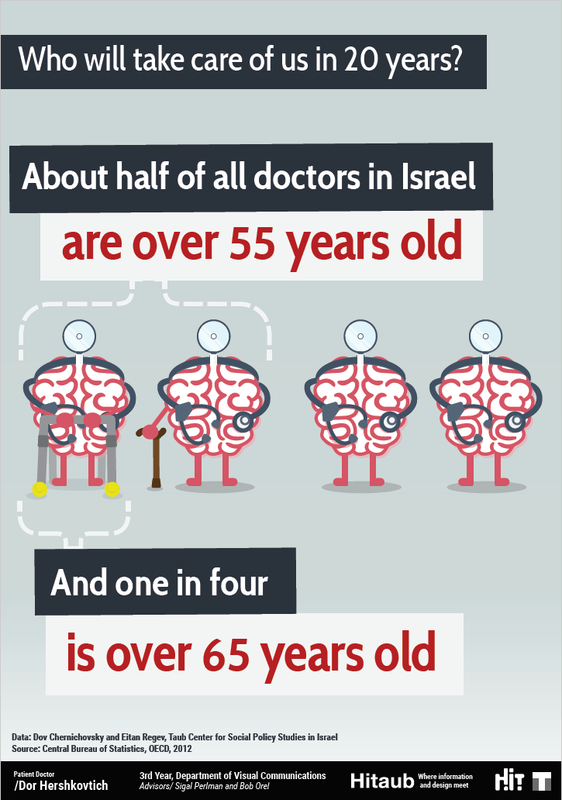 Click here to learn more about health and life expectancy in the Haredi community. 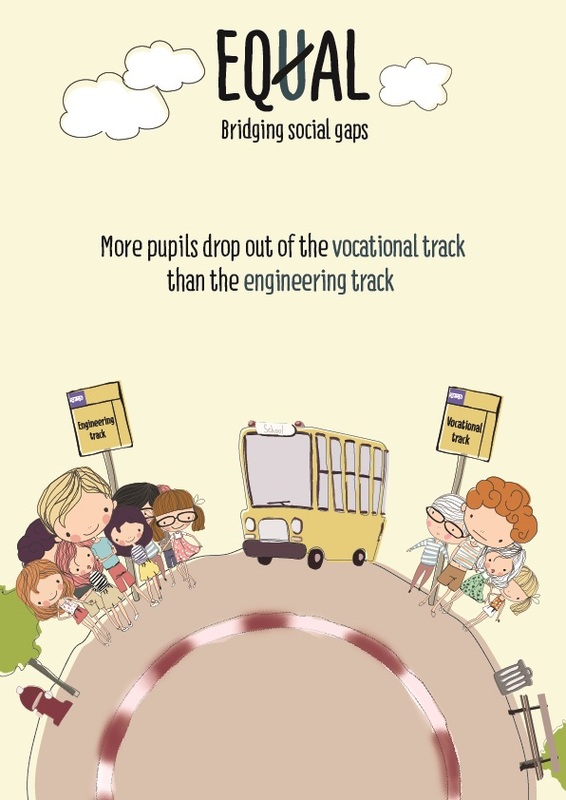 In high school in Israel, more pupils drop out of the vocational track than the engineering track. 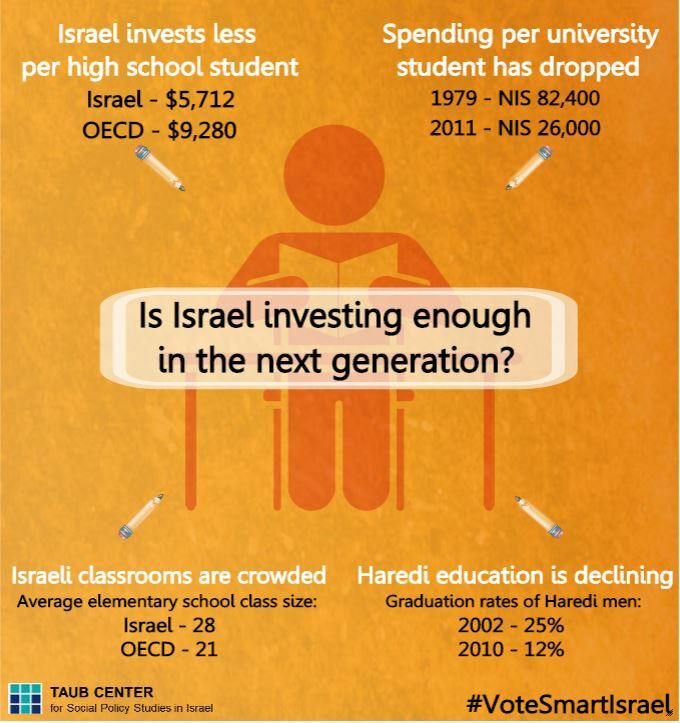 Click here to read more about vocational tracks in Israeli high schools. 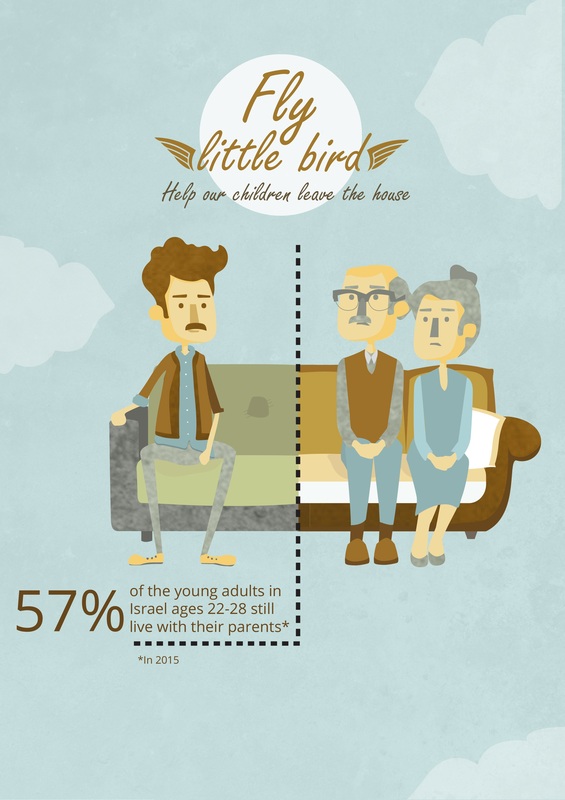 57% of the young adults in Israel ages 22-28 still live with their parents. 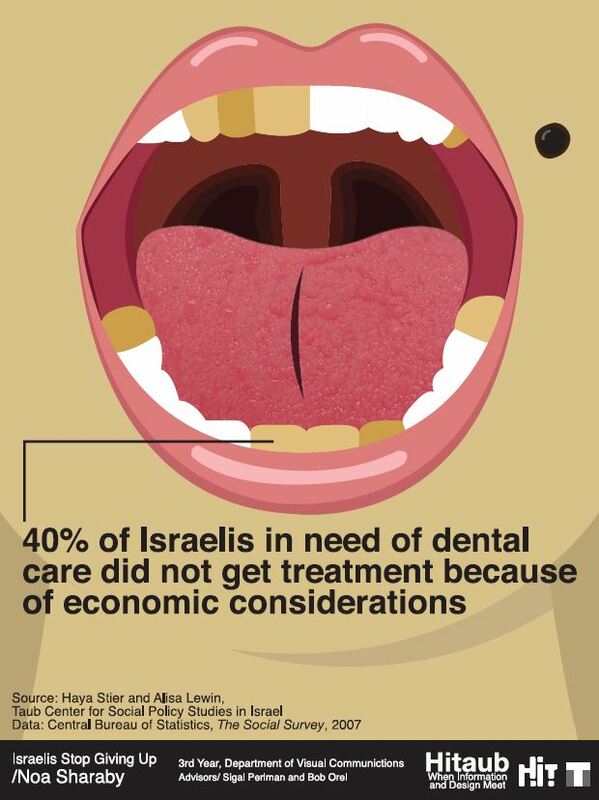 Click here to read more about the socioeconomic condition of young adults in Israel. 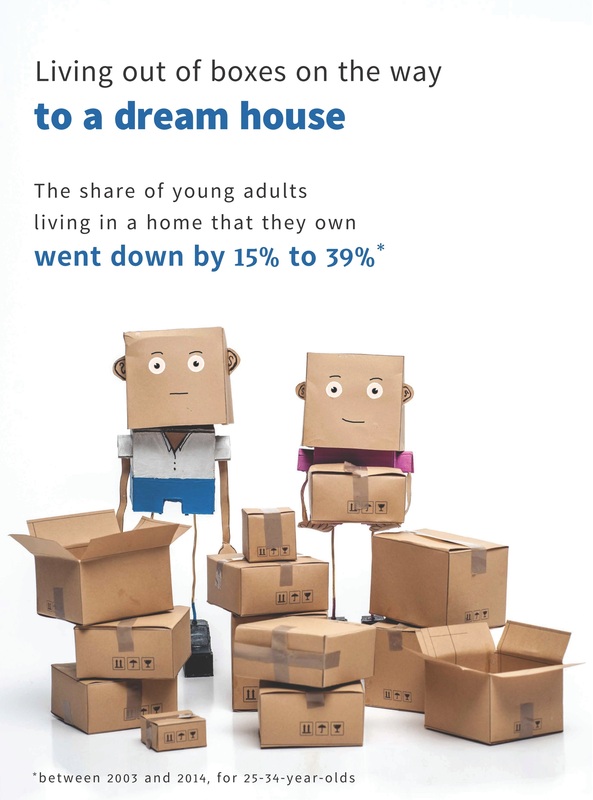 The share of young adults living in a home that they own wend down by 15% to 39%. 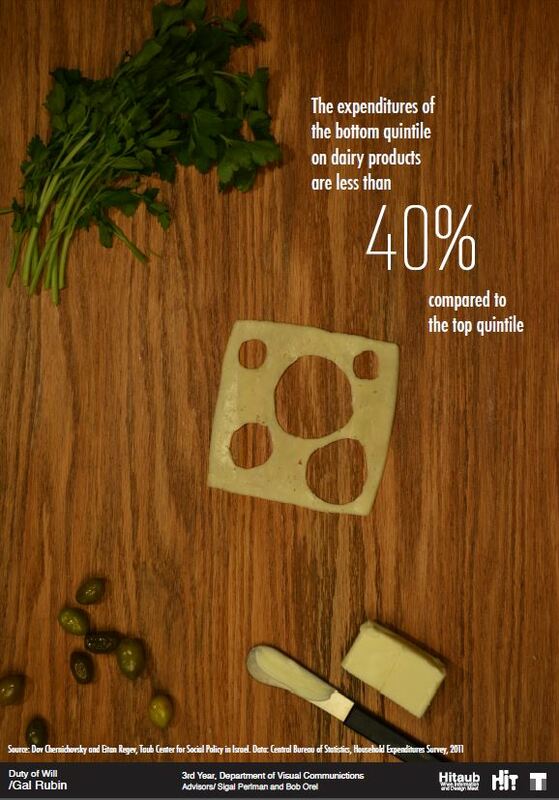 Click here to read more about the socioeconomic condition of young adults. 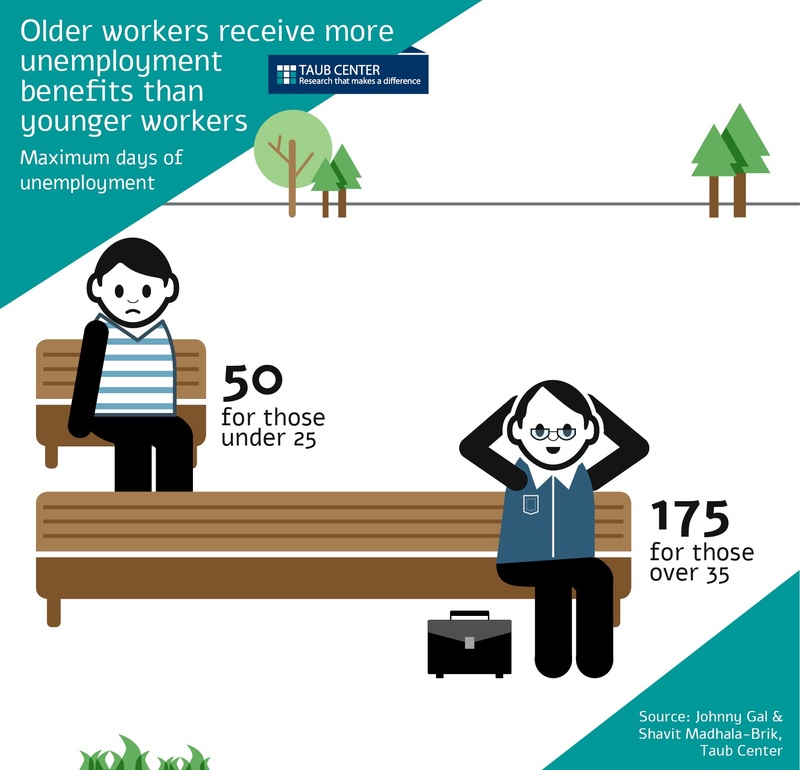 Workers over 35 years old can receive a maximum of 175 days of unemployment benefits, whereas those under 25 can only receive up to 50 days of unemployment benefits. Click here to read more about unemployment benefits in Israel. 69% of women who have children under the age of 4 were employed in 2011, as opposed to 52% in 1995. 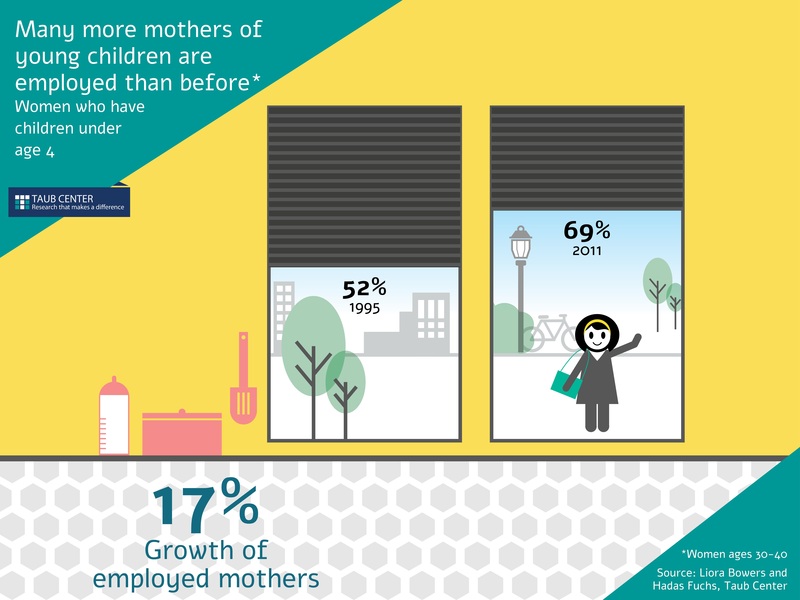 Click here to read more about mothers in the labor market. 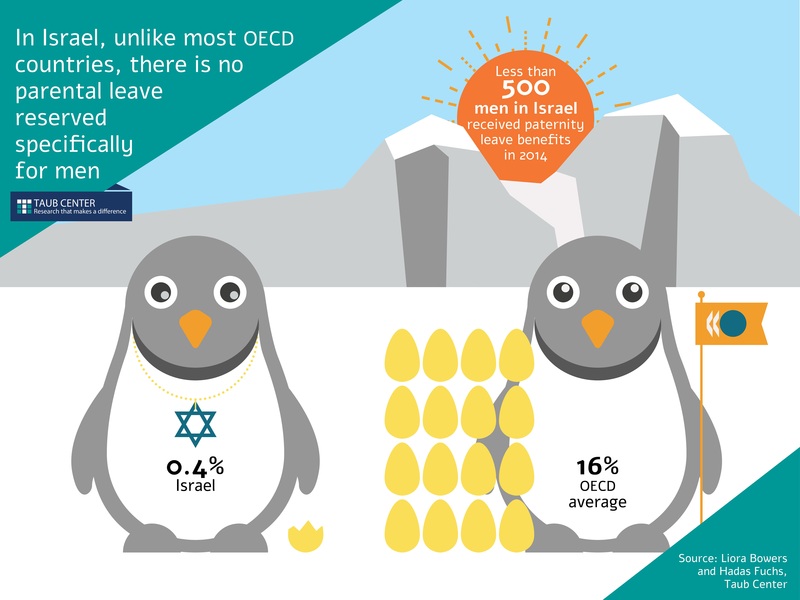 In Israel, unlike most OECD countries, there is no parental leave reserved specifically for men. Click here to read more about parental leave policies in Israel. 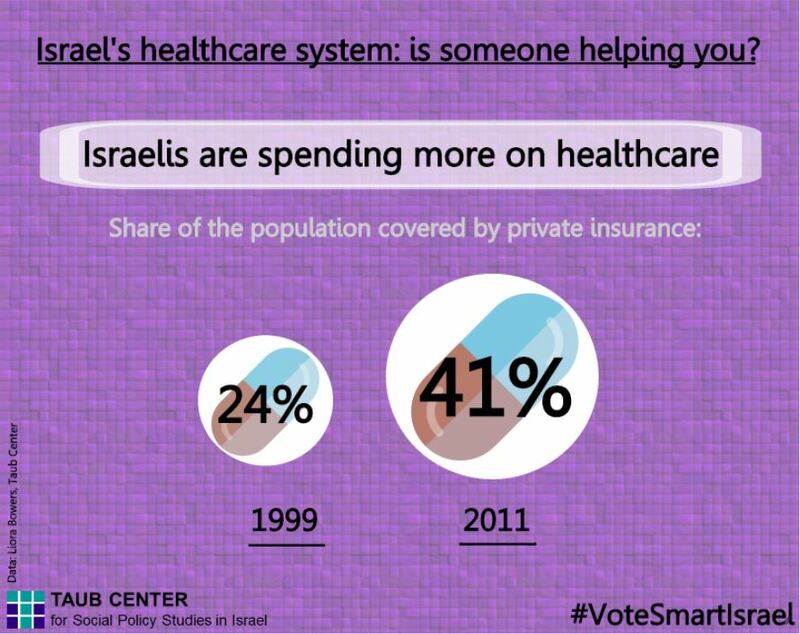 How can we prepare the Israeli labor market for the future? 1. Curricula, 2. 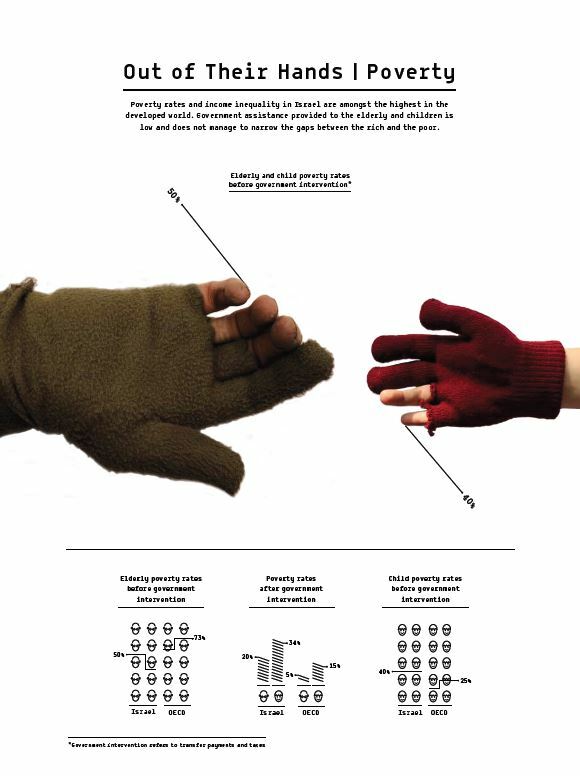 Vocational training aligned with market needs, 3. Vocational training expanded. 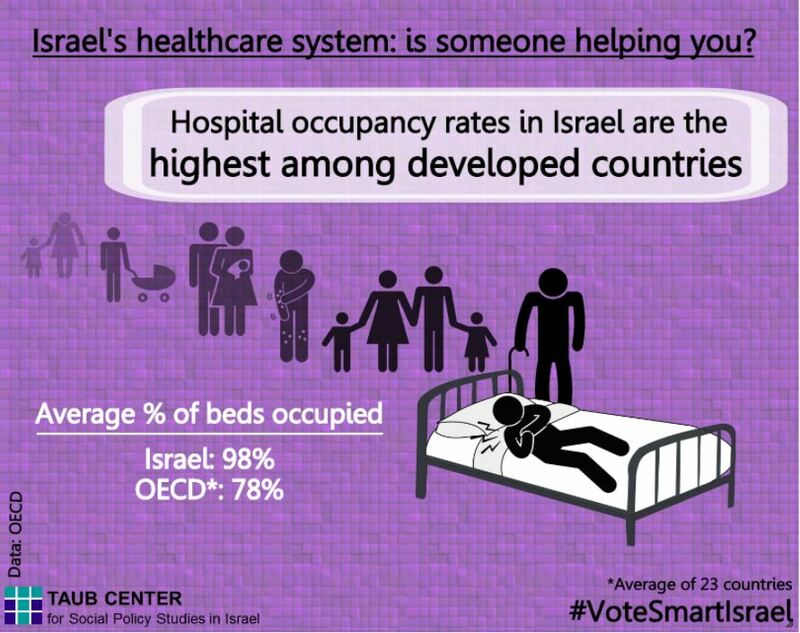 Click here to read more about occupations at risk of computerization in Israel. In recent years that has been a decline in employment in occupations that are at high risk of being replaced by computers, such as tinsmiths and locksmiths. 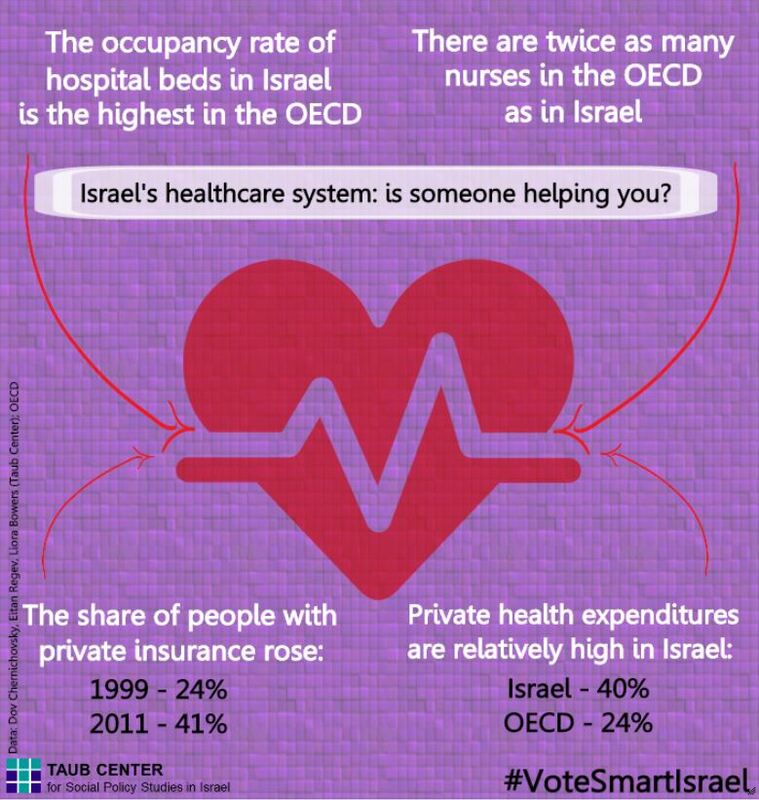 Click here to read more about occupations at risk of disappearing in Israel. 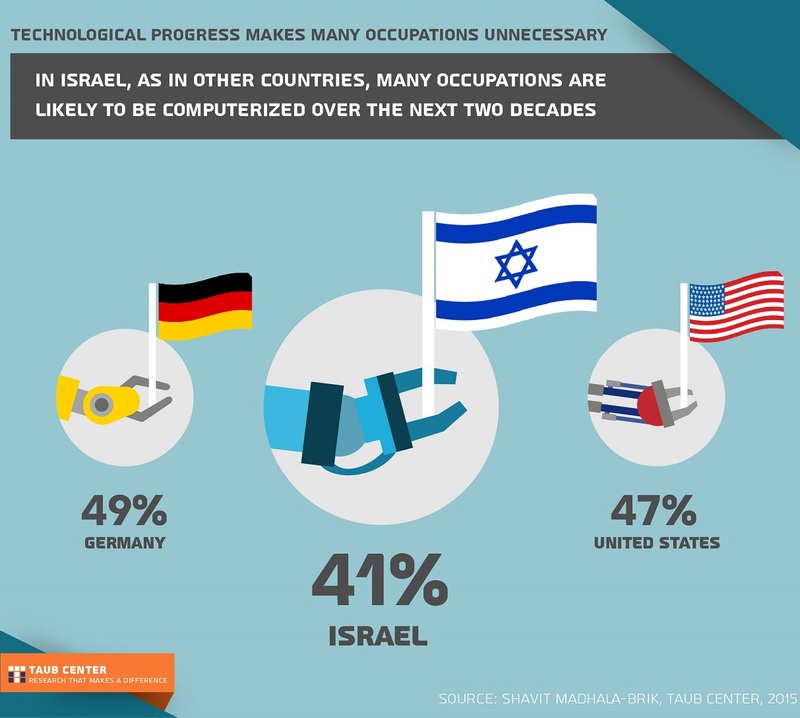 In Israel, as in other countries, many occupations are likely to be computerized over the next two decades. See how Germany and the United States compare. 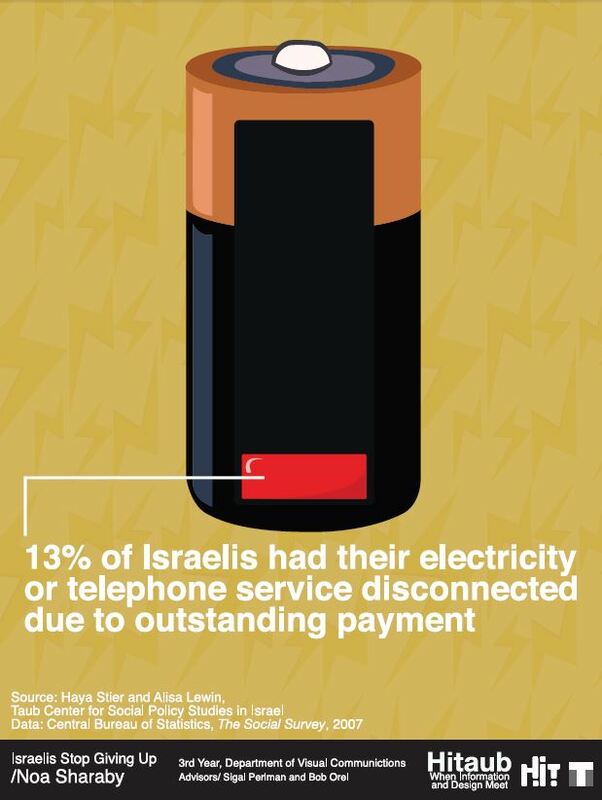 Click here to read more about occupations at risk of computerization in Israel. 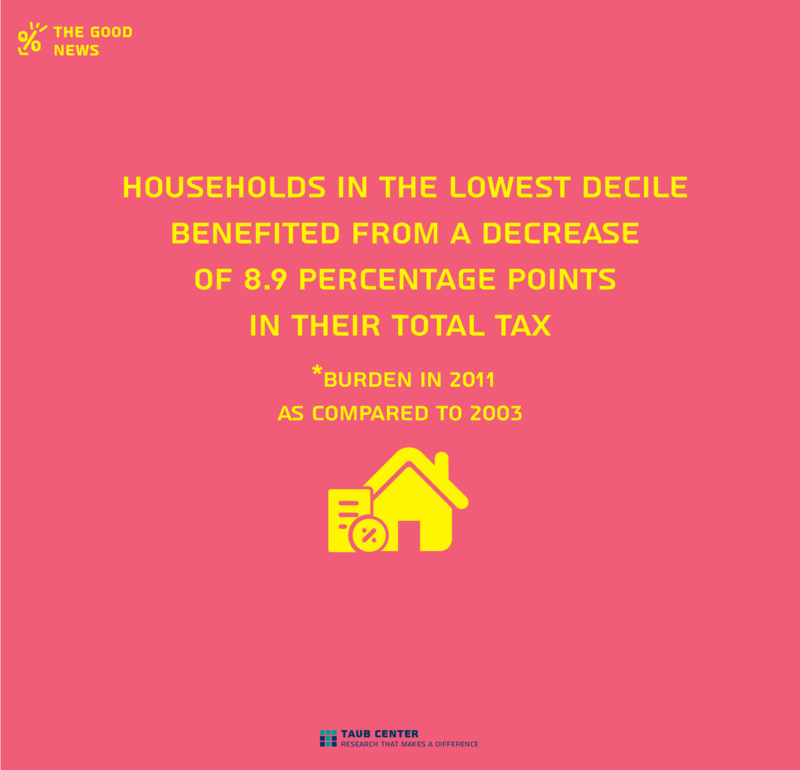 Households in the lowest decile benefited from a decrease of 8.9 percentage points in their total tax. 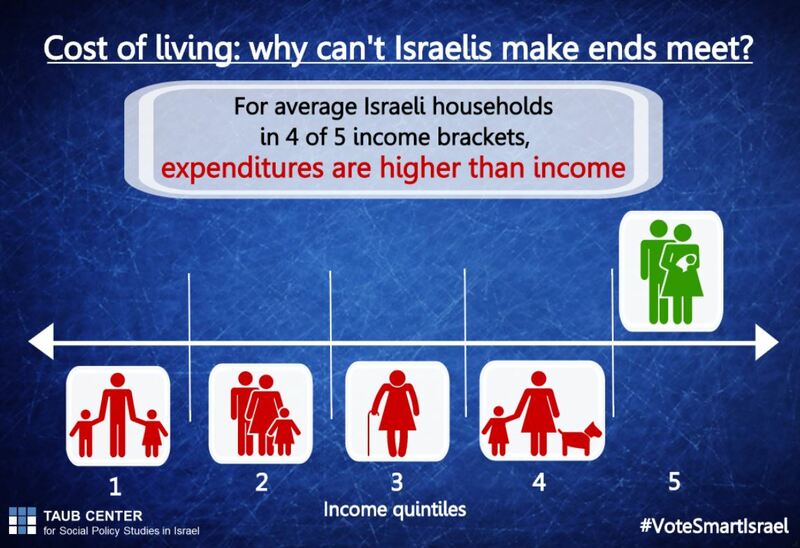 Click here to read more about the change in household tax burden in Israel in the early 2000’s. 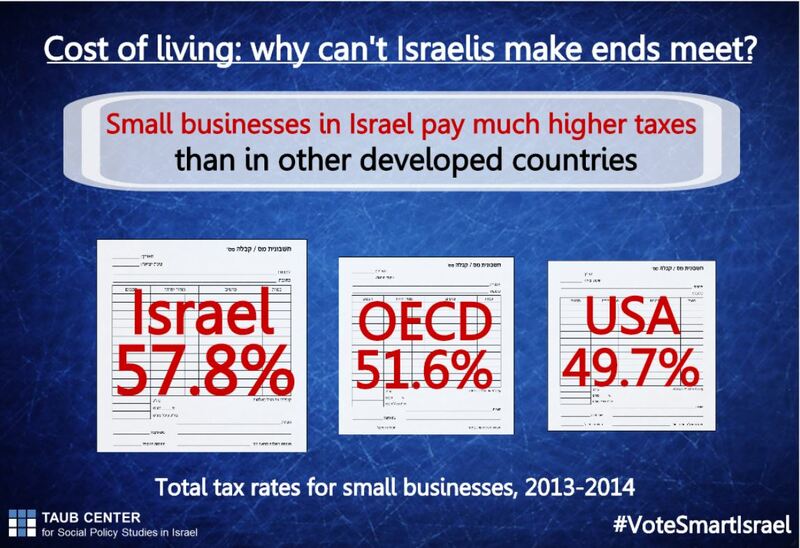 Israel’s tax policy in recent years has primarily benefited the upper deciles. 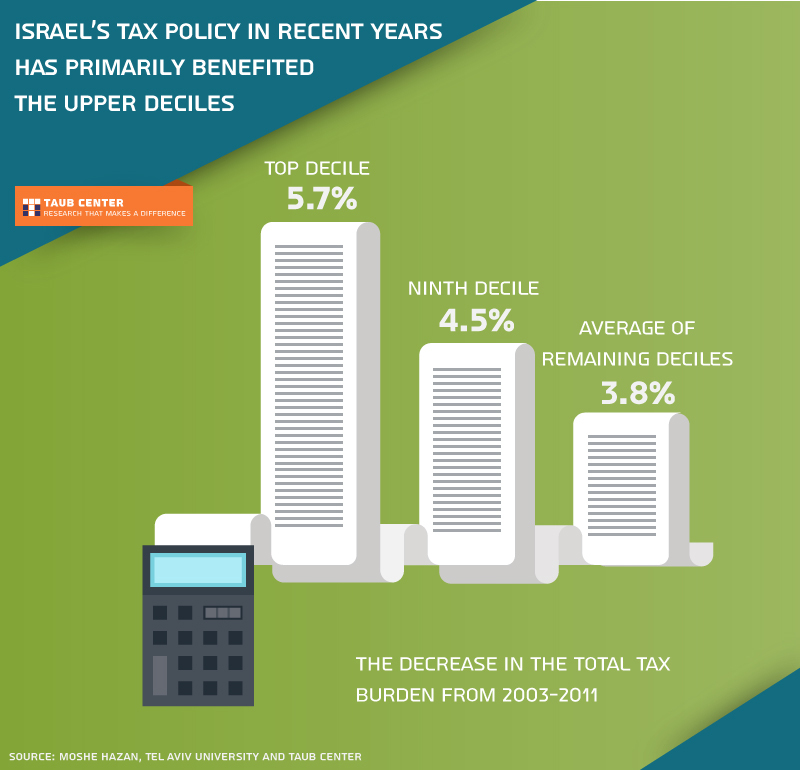 Click here to learn more about the change in Israel’s household tax burden in the early 2000’s. 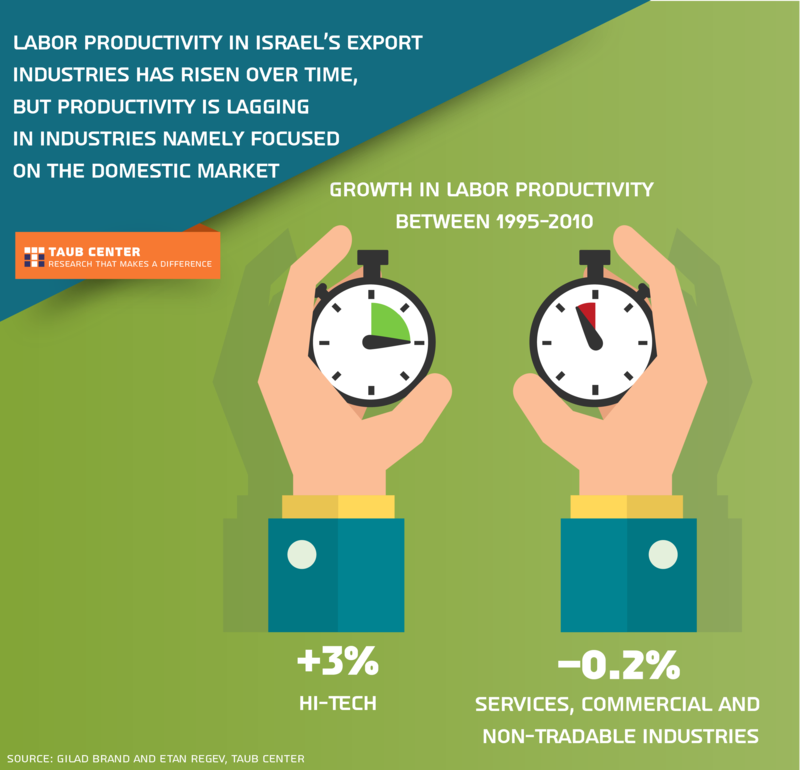 Labor productivity in Israel’s export industries has risen over time, but productivity is lagging in industries namely focused on the domestic market. 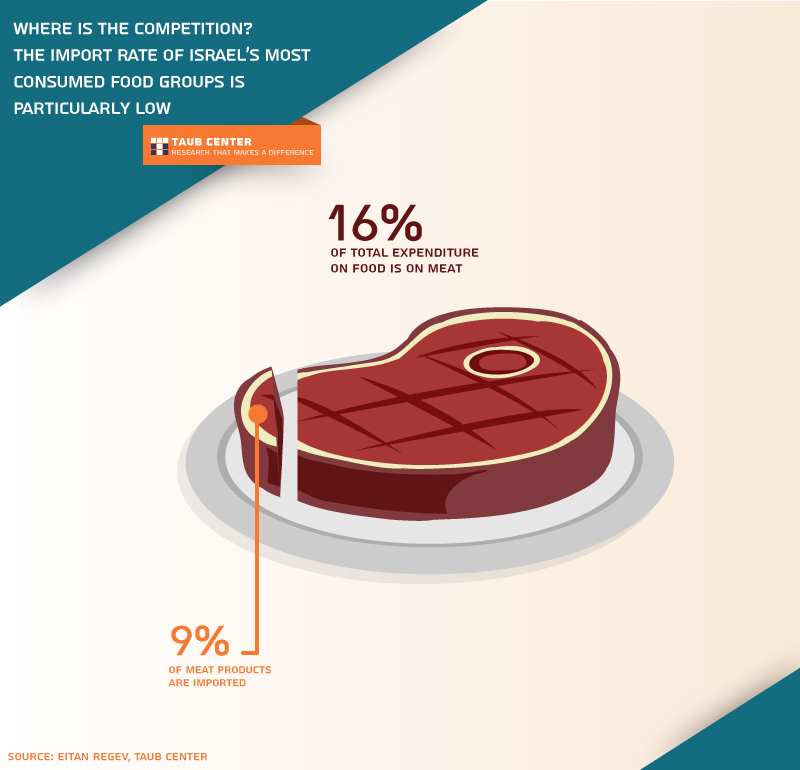 Click here to read more about Israel’s dual labor market and the productivity gaps between Israel’s various industries. 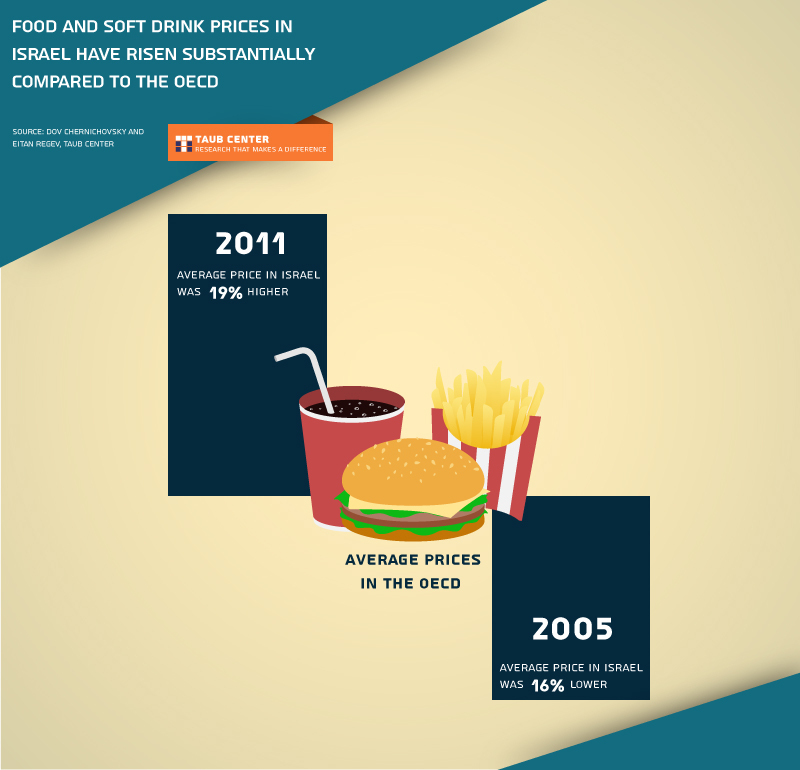 Food and soft drink prices in Israel have risen substantially compared to the OECD. 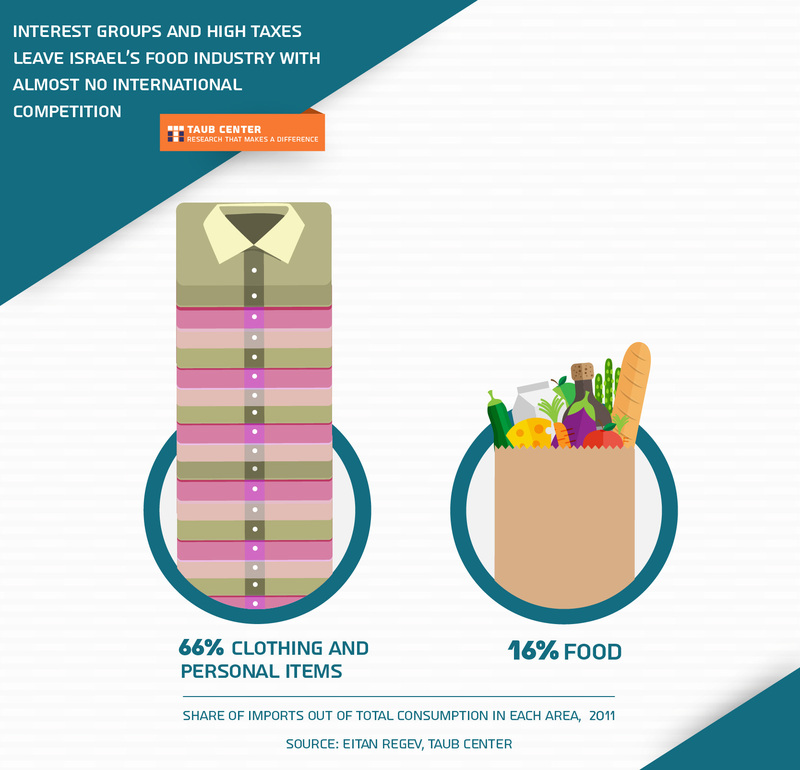 Interest groups and high taxes leave Israel’s food industry with almost no international competition. 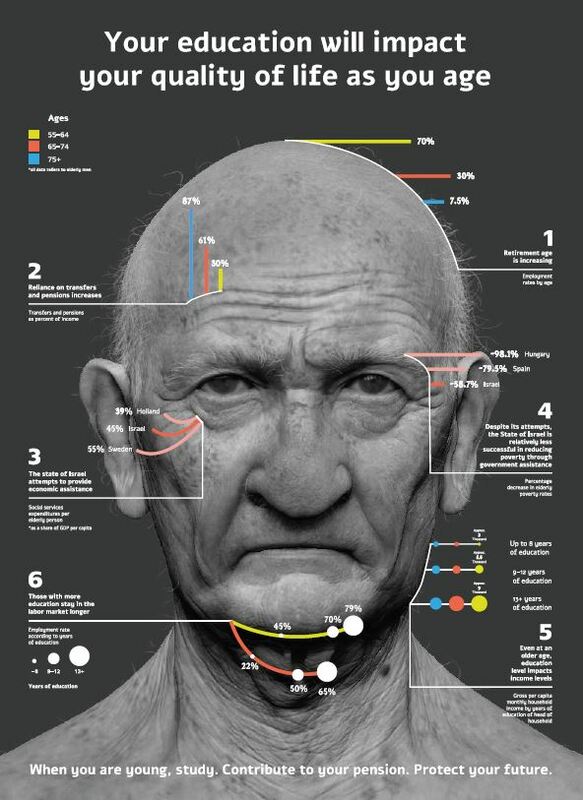 As part of a partnership between the Taub Center and the Holon Institute of Technology -Department of Visual Communications, Tom Cohen designed this infographic inspired by Taub Center research. 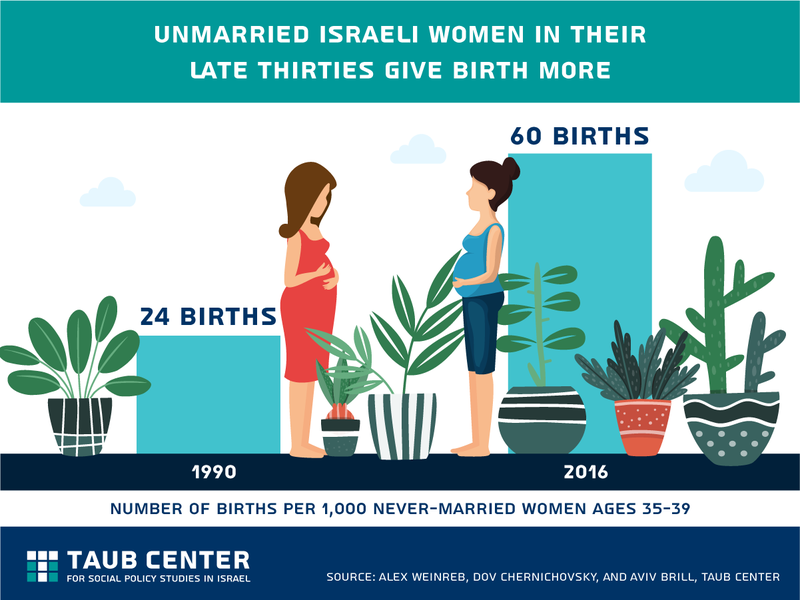 As part of a partnership between the Taub Center and the Holon Institute of Technology -Department of Visual Communications, Noa Sharaby designed this infographic inspired by Taub Center research. 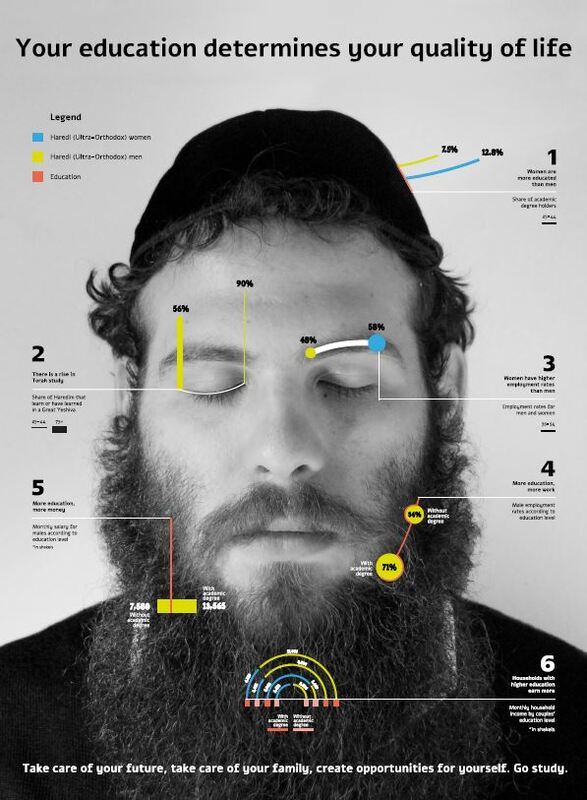 As part of a partnership between the Taub Center and the Holon Institute of Technology -Department of Visual Communications, Gal Rubin designed this infographic inspired by Taub Center research. 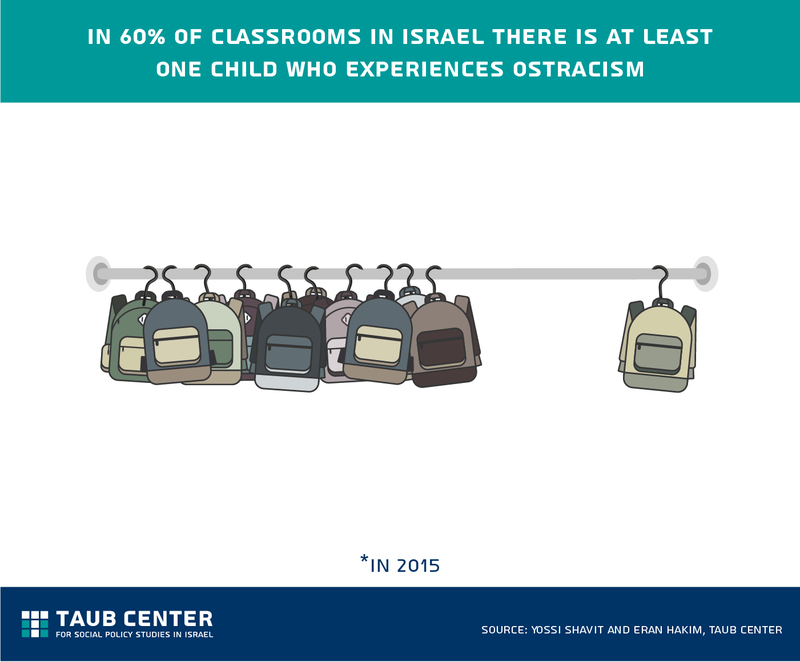 As part of a partnership between the Taub Center and the Holon Institute of Technology -Department of Visual Communications, Alon Rubin designed this infographic inspired by Taub Center research. 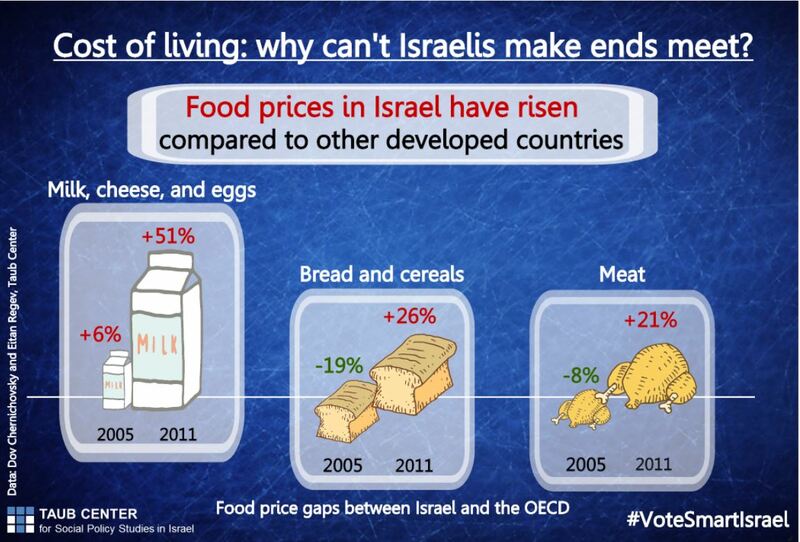 Cost of living: why can’t Israelis make ends meet? 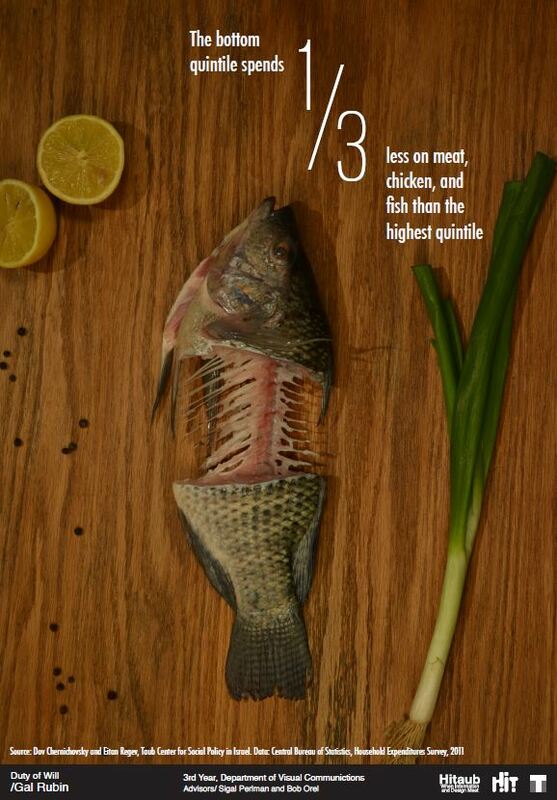 Click here to read more about cost of living. 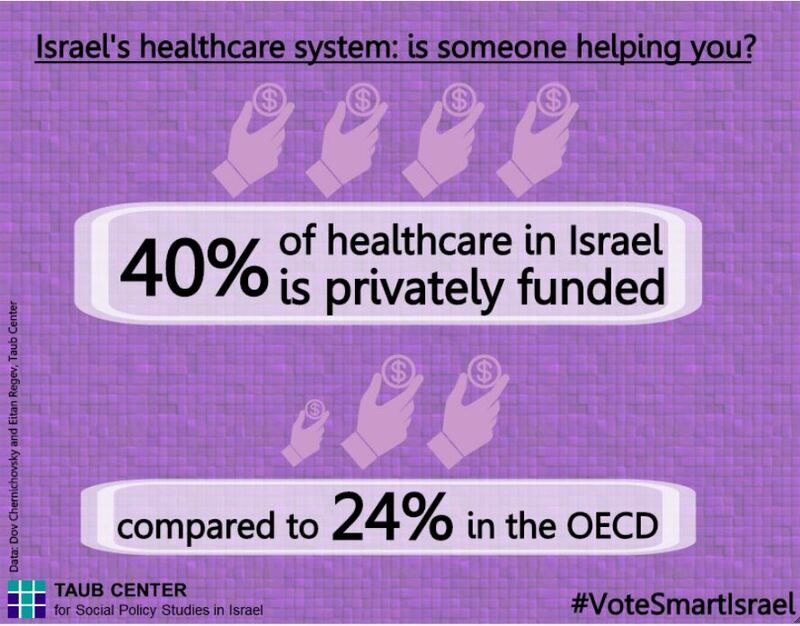 Israel’s healthcare system – is someone helping you? Click here to read more about healthcare. 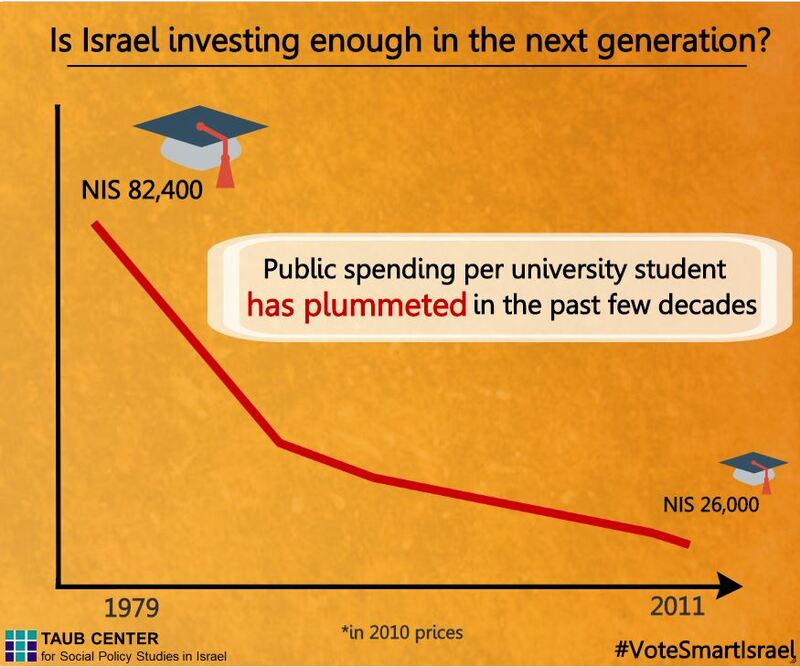 Is Israel investing enough in the next generation? 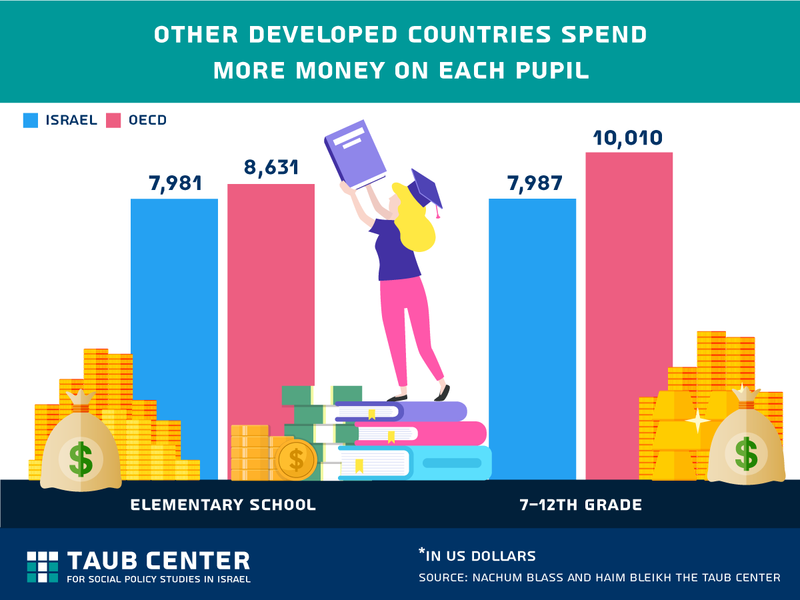 Click here to read more about education. 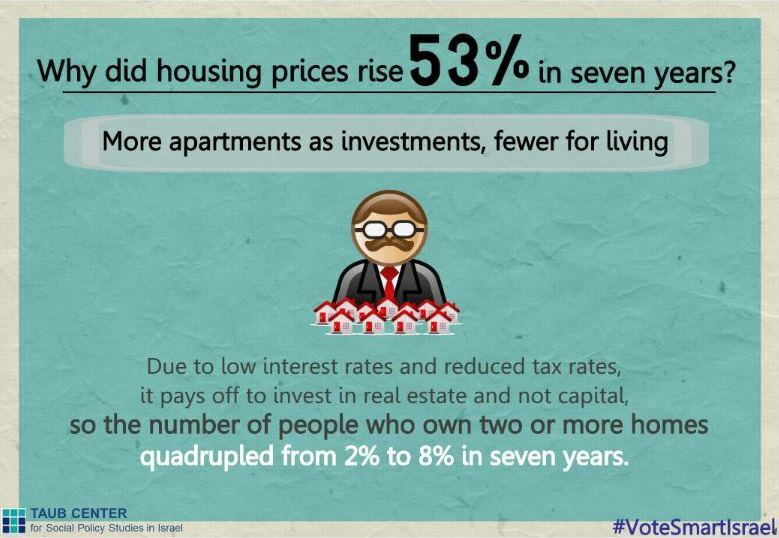 Why did housing prices rise 53% in seven years? 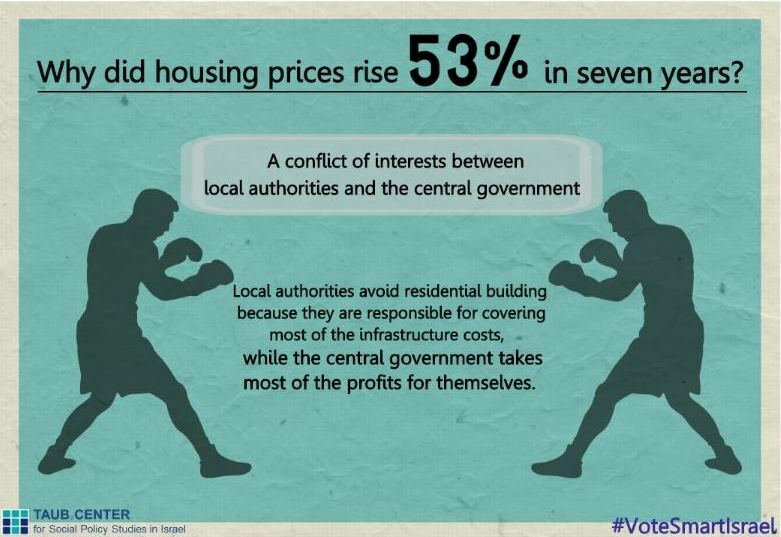 Click here to read more about housing. 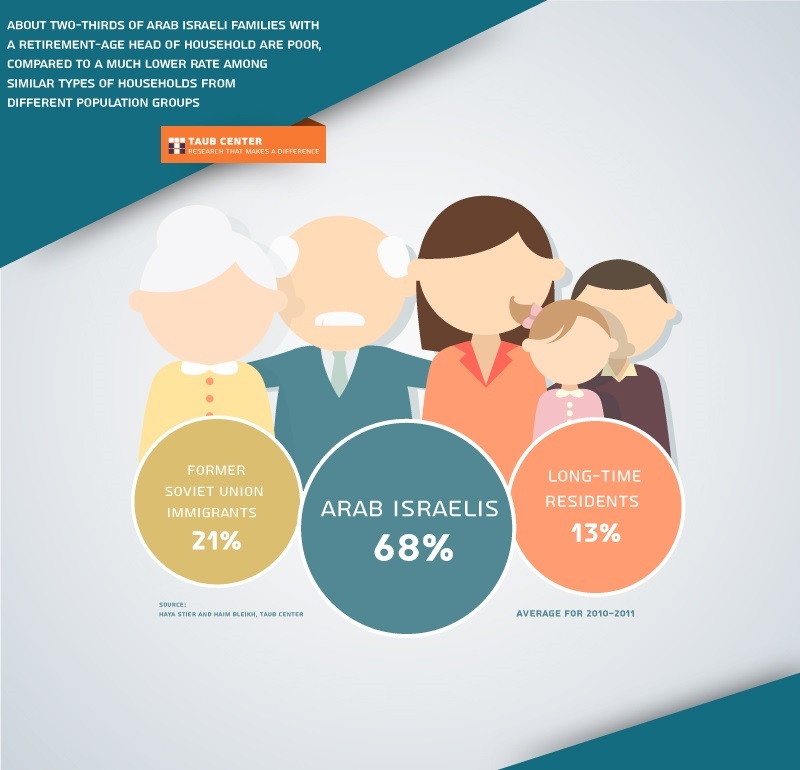 About two-thirds of Arab Israeli families with a retirement-age head of household are poor, compared to a much lower rate among similar types of households from different population groups. Want to open more doors for your daughter? 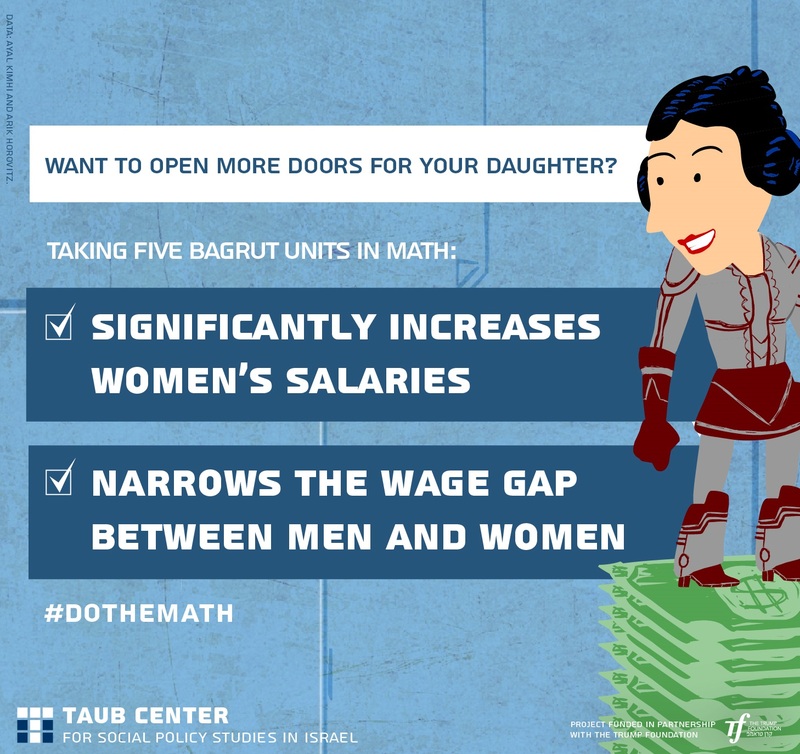 Taking five Bagrut units in math can increase women’s salaries and narrow the wage gap. 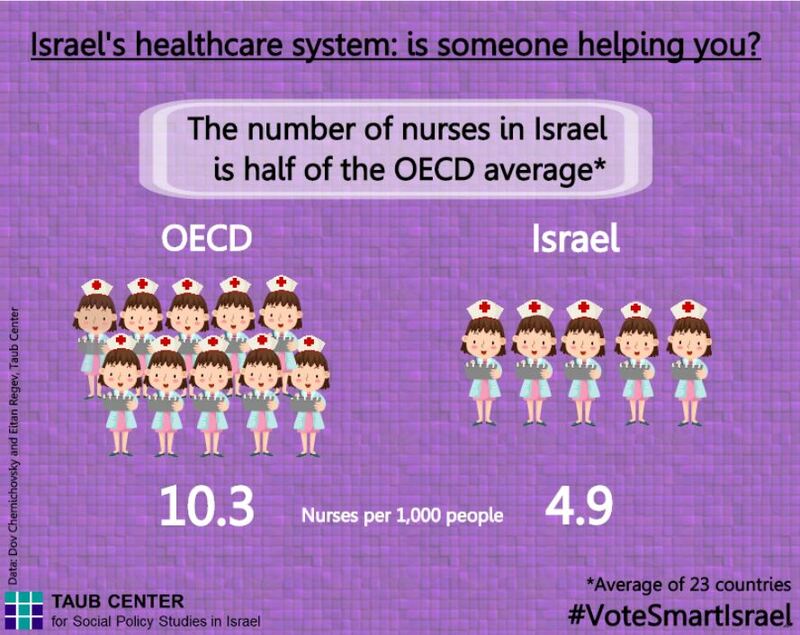 46% of women in Israel’s labor market have an academic degree as opposed to 22% in 1980. 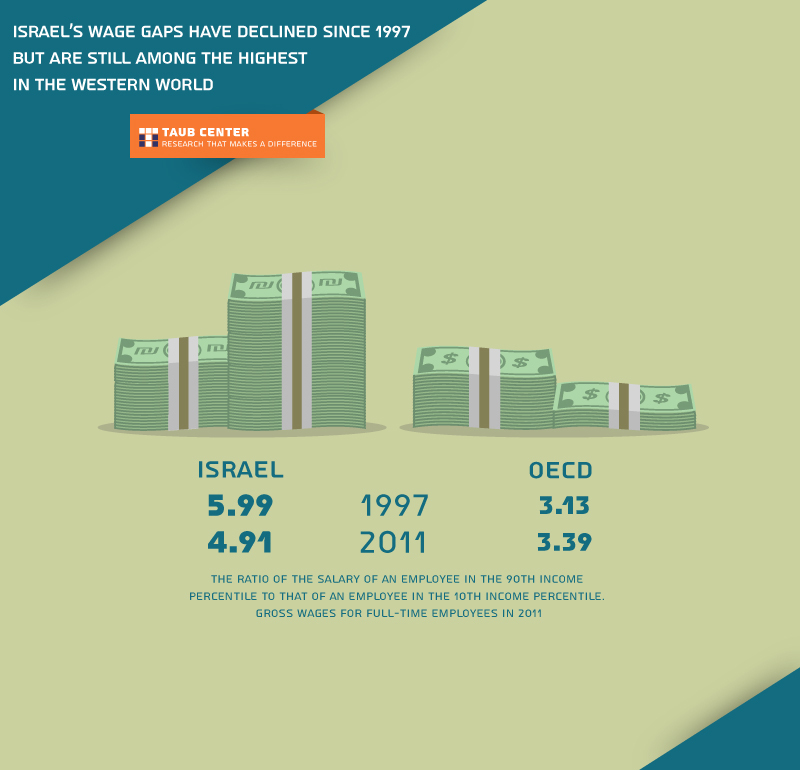 Israel’s wage gaps have declined since 1997, but are still among the highest in the Western World. 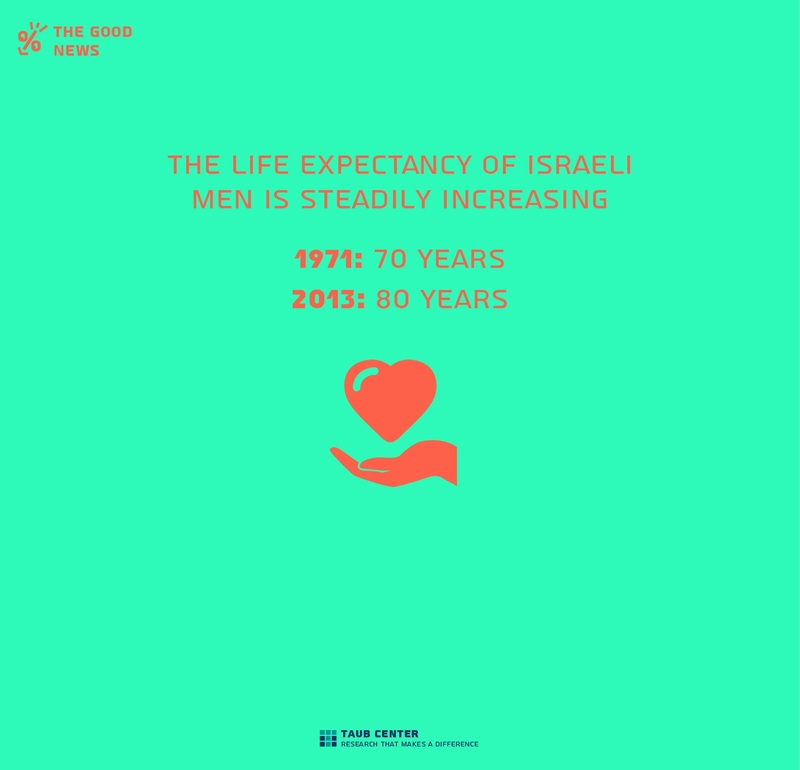 The life expectancy of Israeli men has increased from 70 years in 1971 to 80 years in 2013.
Who will take care of us in 20 years? The average number of students per middle school classroom dropped by 11% between 2008-2013. 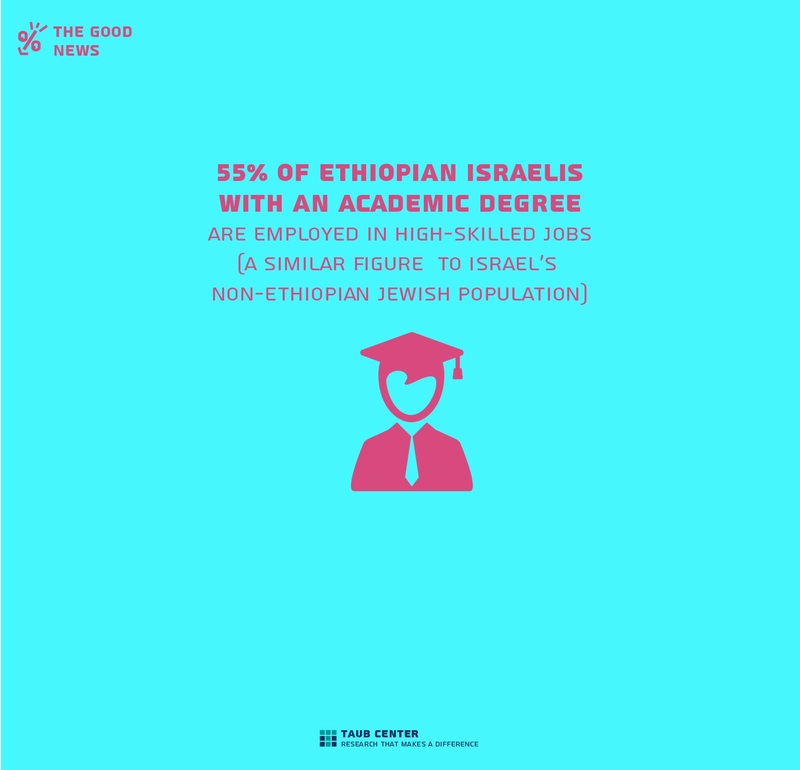 55% of Ethiopian Israelis with an academic degree are employed in high-skilled jobs. 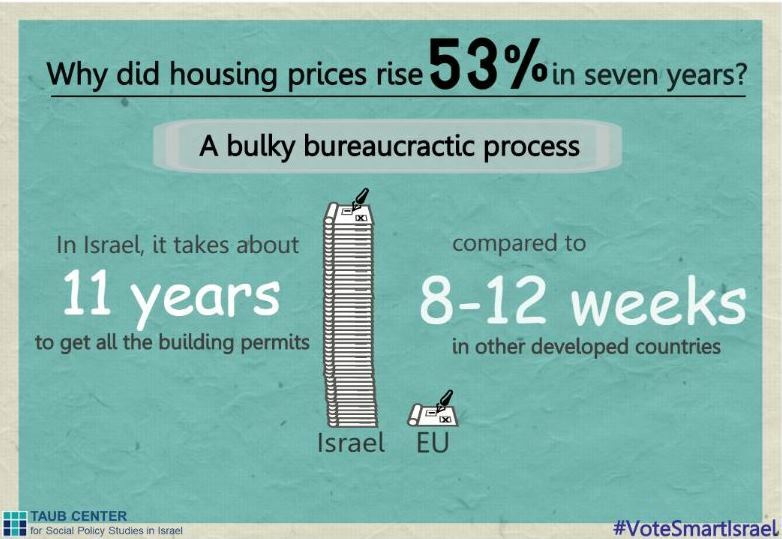 The budget for daycare centers in Israel increased by 57% between 2010 and 2014. 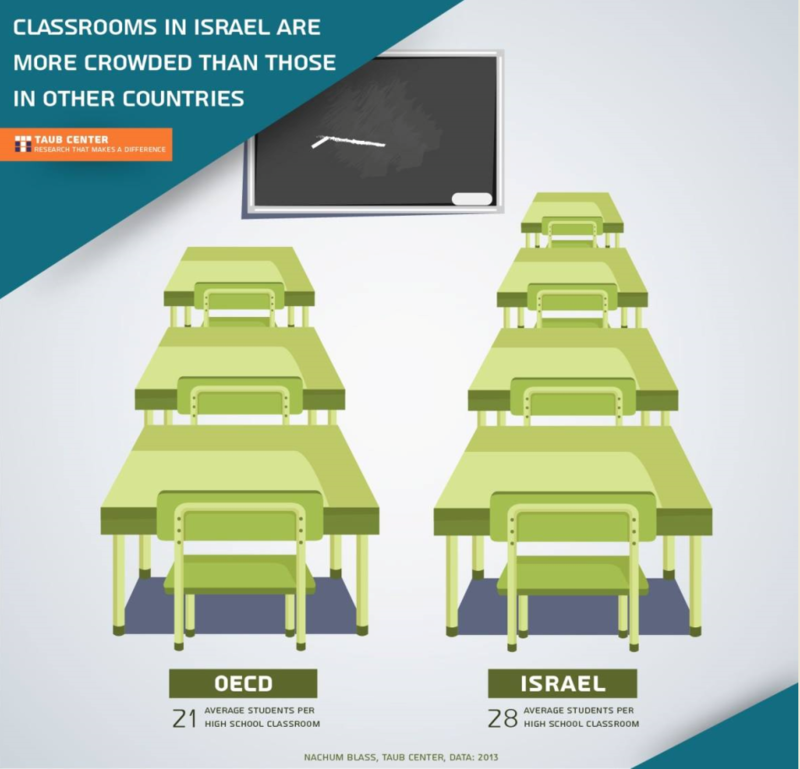 Israel has an average of 28 students per high school classroom, as compared 21 students on average in the OECD. 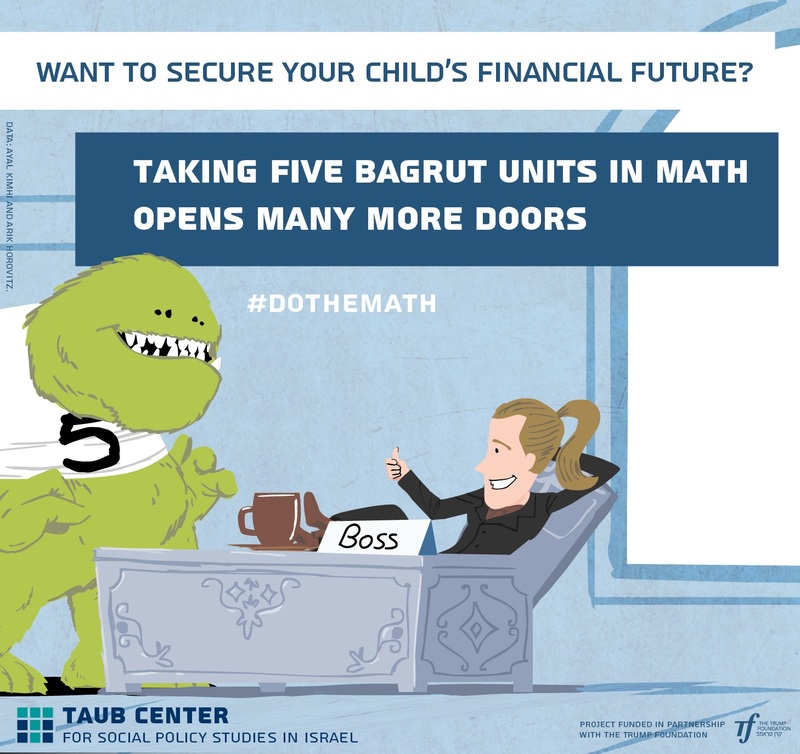 Taking five bagrut units in math opens many more doors. 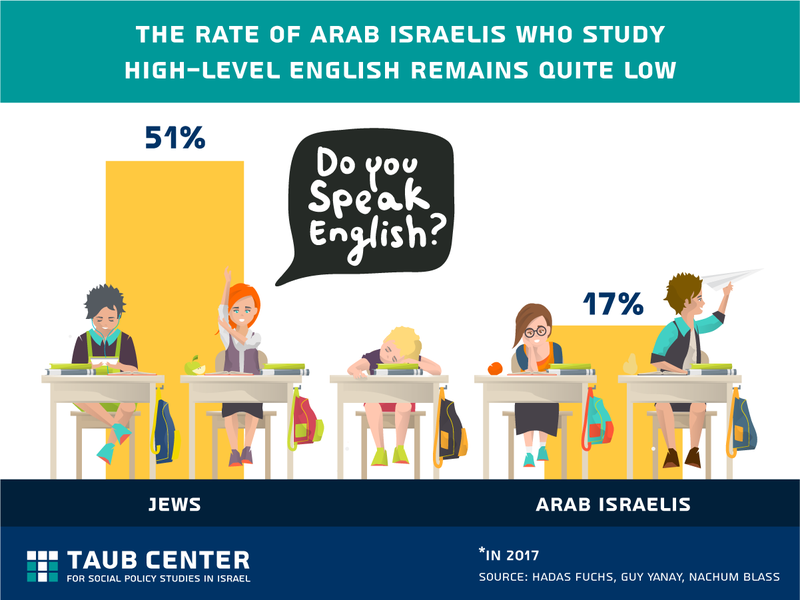 53% of Israelis of Ethiopian origin who were educated in Israel are entitled to matriculation certificates, while 47% are not. 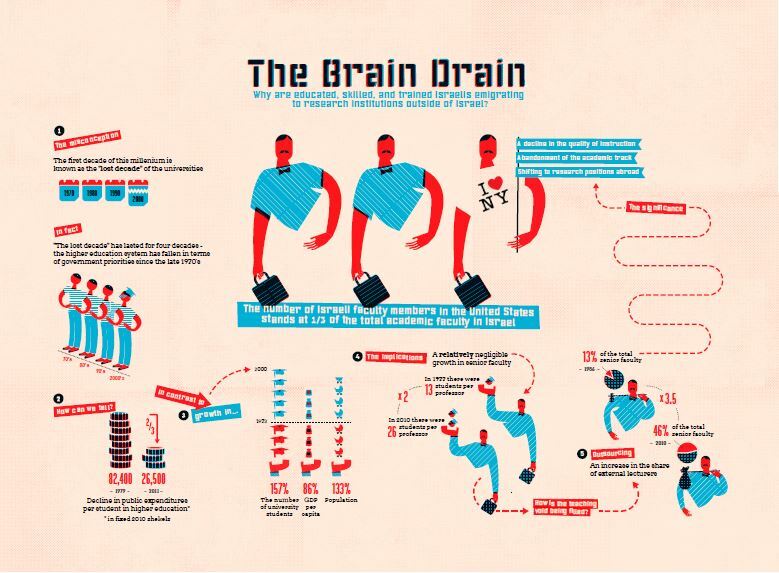 Raya Cohen’s winning infographics from the joint Taub Center-Bezalel Academy Infographics project. 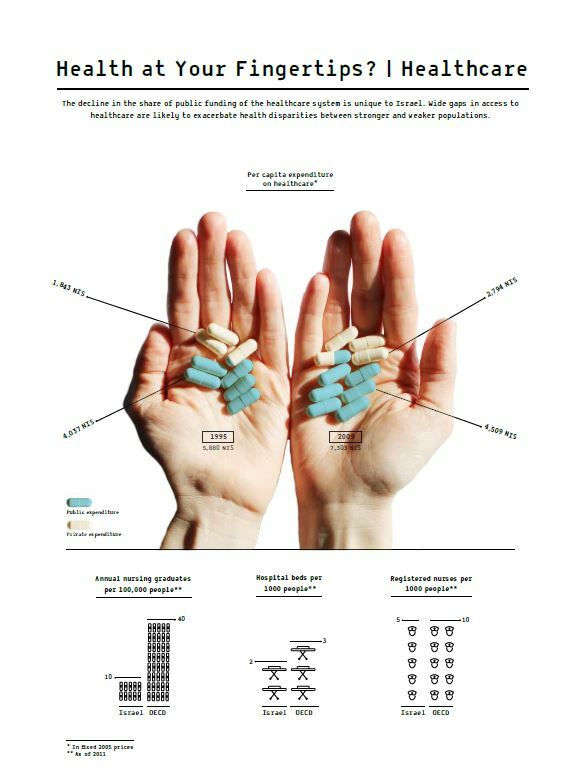 Students in the Visual Communication Department, Bezalel Academy of Art & Design, transformed Taub Center research findings into creative infographics under the instruction of Roni Levit. 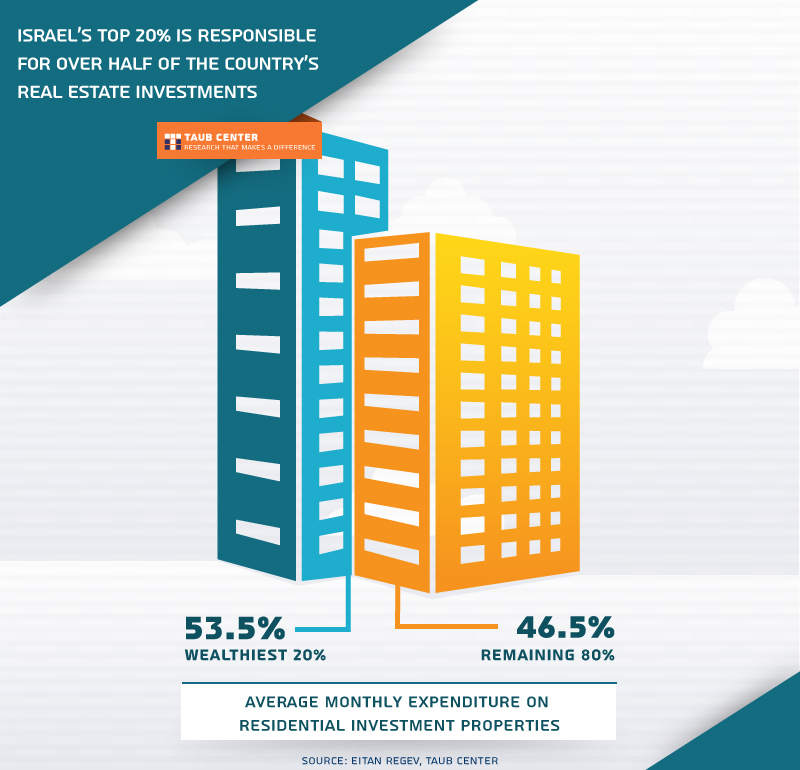 Israel’s top 20% is responsible for over half of the country’s real estate investments. 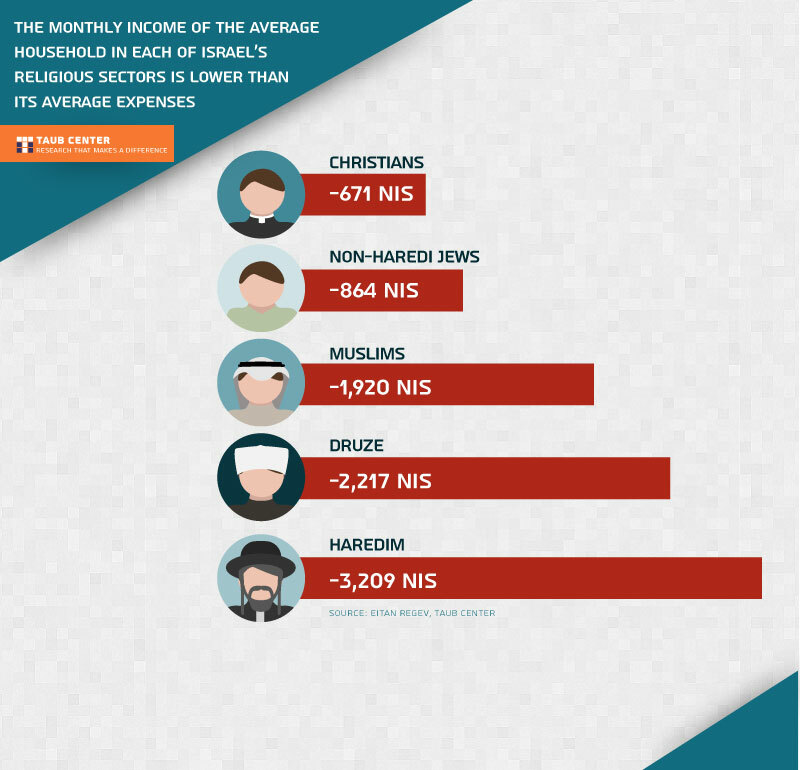 The monthly income of the average household in each of Israel’s religious sectors is lower than its average expenses. 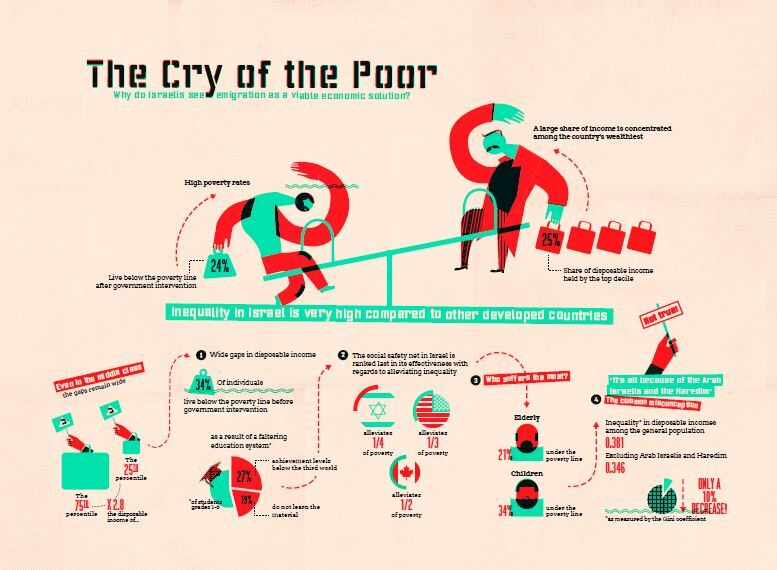 Shiran Ben Yosef’s winning infographics from the joint Taub Center-Bezalel Academy Infographics project. 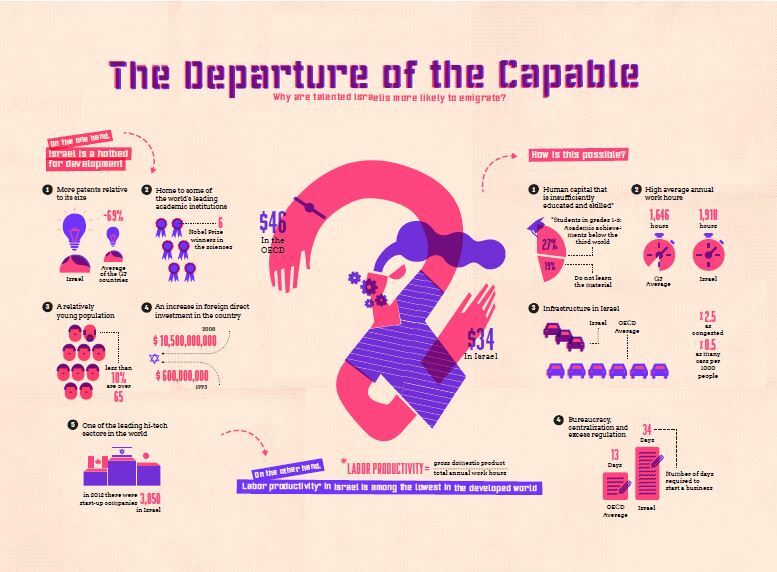 Students in the Visual Communication Department, Bezalel Academy of Art & Design, transformed Taub Center research findings into creative infographics under the instruction of Roni Levit. 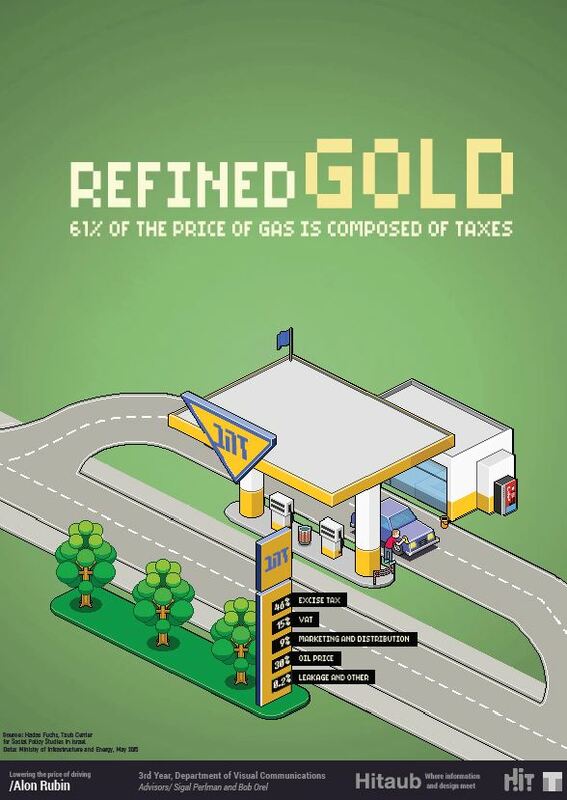 Dar Laor’s winning infographics from the joint Taub Center-Bezalel Academy Infographics project. 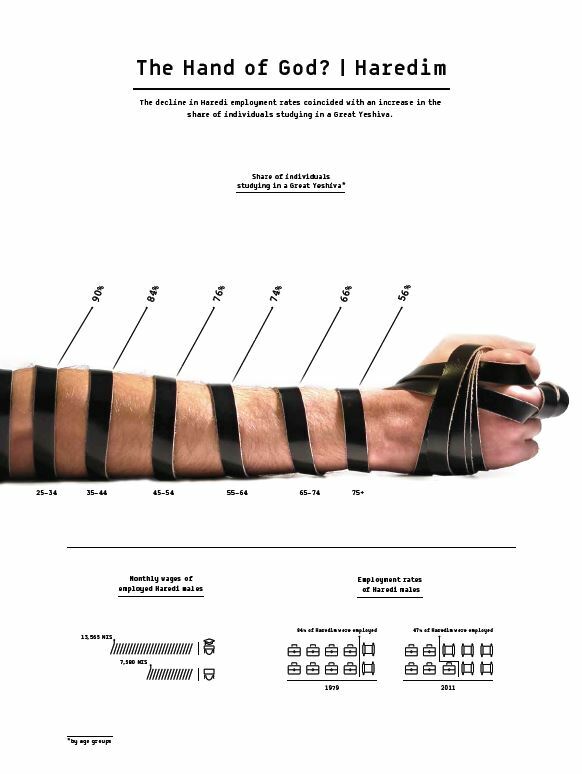 Students in the Visual Communication Department, Bezalel Academy of Art & Design, transformed Taub Center research findings into creative infographics under the instruction of Roni Levit. Where is the competition? 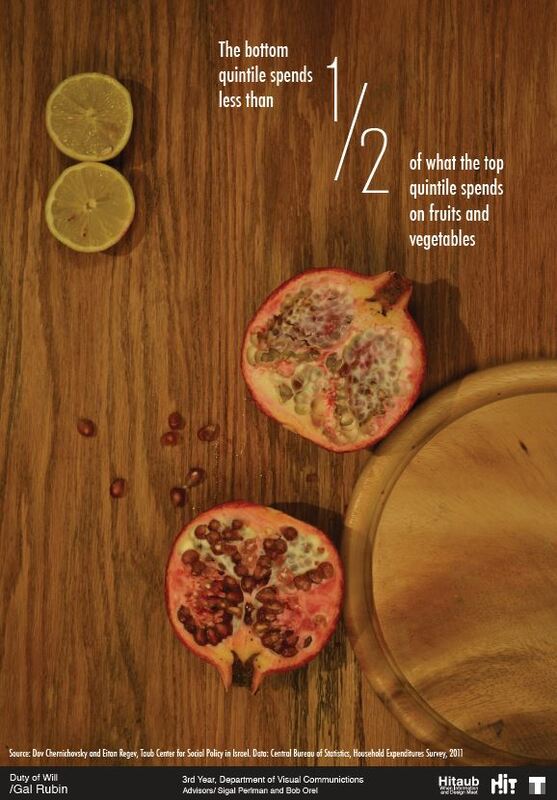 Click here to read more about food and cost of living.